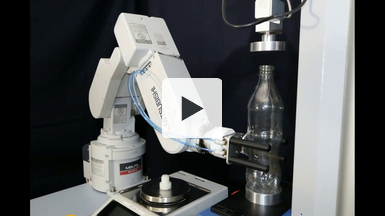 Top load testing of PET bottles can be dome swiftly and accurately with the MultiTest-dV from Mecmesin. 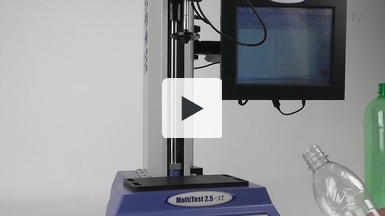 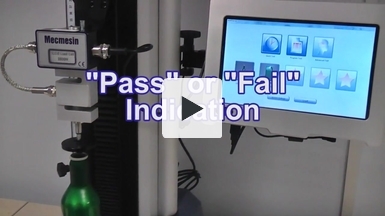 The test stand can be set to load the bottles to 1/4" at speeds up to 20" per minute. 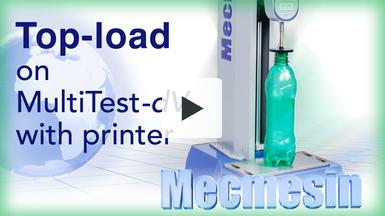 Results can be send to a connected printer, or VectorProTM Lite software can capture all the data.